Far away from the glitz, glamour and money of the UEFA Champions League there are countless amateur and community based clubs spread across the football world that provide playing and development opportunities for footballers young and old. The clubs also serve their communities by being a place for people to get together and watch a good game of football just past their own doorsteps. 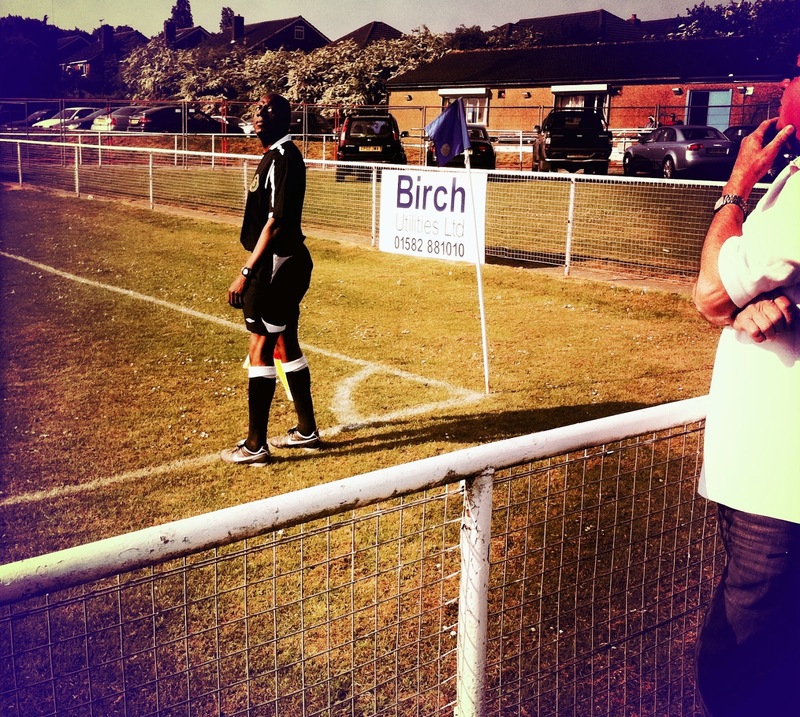 One such club is London Colney FC, who are based near St. Albans, Hertfordshire, England. Established in 1907, their first team squad currently plays in the Spartan Midlands League Premier Division which is at level 9 on the English football pyramid. 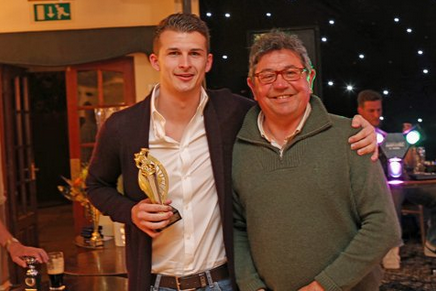 Colney recently concluded one of their most successful seasons in years, finishing second to Kings Langley in the league while amassing an incredible 25 clean sheets in 42 matches and finishing the season on a 26 match unbeaten run. 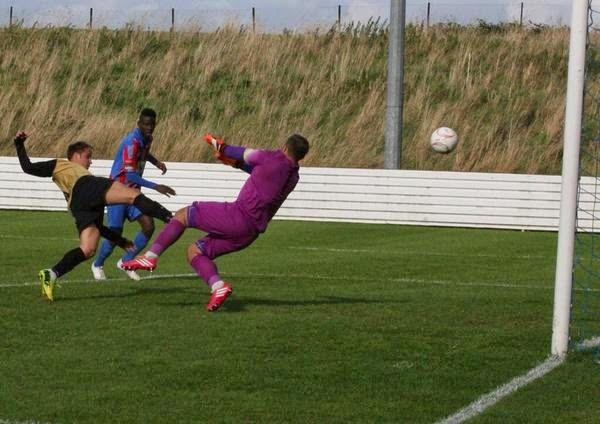 Despite their 93 points being the highest total the club have ever finished with since joining the Spartan League the only promotion place was taken by champions Kings Langley, so Colney will aim to continue their impressive form into next season and see if they can perhaps get up into the Southern League themselves. 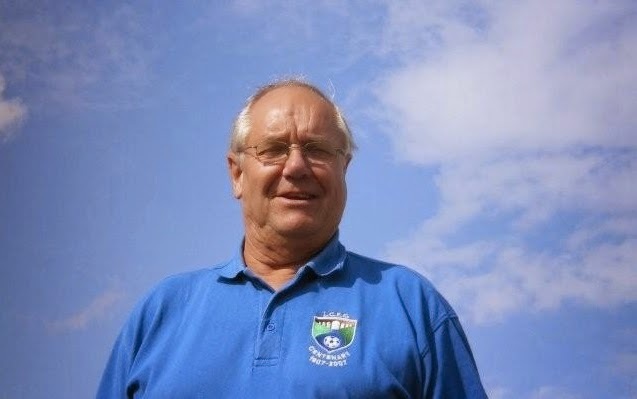 Curious as to what it takes to run a club like Colney, I spoke this week to my uncle Tony Clafton, who is the Chairman of London Colney FC, and Honorary Club Secretary Dave Brock about their time at the club and their hopes for next season. 1.) How long have you been associated with London Colney and how did you come to be involved with the club? Dave: 47 years. Friends of mine were playing and I began watching which led to helping with the running of the club. I started as 'sponge man'. Tony: I started Nov 2007, the old chairman left with the manager and most of the experienced players, the club was rock bottom of the Premier Division when one of the player’s parents who worked for me asked if I could help out and the story began. 2.) What's involved in your respective roles for the club? Dave: First point of contact for the club. I am involved in all aspects of running the club. Hon Sec for last 15 years but also I get involved in maintenance of ground and clubhouse, kit management for 4 teams, catering and anything else that comes up. Tony: Bringing all the loose ends together with the other committee members who are a fantastic bunch of people, bar work and helping out the events team in the club, general dogs body where minor repairs or major have to get done they are usually done by one of the usual few. 3.) What is the biggest challenge involved in running a club like London Colney? Dave: Getting enough people to help run it and finance. Tony: I agree with Dave time is the essence as most of the committee have jobs outside the club and there are families to consider although we are all blessed with very considerate people at home and doing a bit of DIY (Do It Yourself) or other house duties usually gets me enough brownie points. 4.) How do you raise the necessary funds needed to operate the club? Dave: Sponsors, bar takings, functions, and prize money from FA Cup and FA Vase should we get that far. Tony: Steve Murphy and Cheryl Rees are the main fund raisers Steve gets his begging bowl out to all the local businesses successfully I might add selling banner space in the ground together with Cheryl Rees who constantly does the rounds of all the local looking for function room groups for charity, birthday, christening and all manner of other events, not to forget Keith Parsons Club President who with his company GD Construction sponsors the club in more ways than just financially. 5.) With this season drawing to a close, what are the club's realistic goals heading into next season and what needs to happen over the summer to reach these goals? Dave: Maintaining our present standard both on and off the pitch. For this to happen we need more people and more money. Tony: Looking forward the club manager, Tony Kavanagh, said he would like to be #1 in the league next season and possibly try to make it into the 1st round proper (my wish really) of the FA Cup and bringing through more local people and players into the LCFC setup. 6.) In your years at the club what is the most memorable match involving London Colney that you've witnessed? Dave: Winning the League Championship in Season 2001/2002 and this season winning away from home in the preliminary round of the FA Cup against Malden and Tiptree a team from a higher league. Tony: The game last season in the FA Cup against AFC Rushden and Diamonds at Cotlandswick which had its biggest attendance of nearly 900 people to see LCFC draw after dominating the game for long periods. Great atmosphere and one which will last in the memory. 7.) Who do you consider to be your arch rivals? Dave: Colney Heath (the next village) or whoever we are playing at the time. Tony: Colney Heath no question. 8.) Currently the senior men's side is in the Spartan South Midlands Premier Division, what other sides does London Colney field and what divisions are they competing in? Dave: LCFC Reserves - Spartan South Midlands Reserves Division One. London Colney Blues - 1st Team, who are champions this year, and the Reserves who play in the West Hertfordshire League. Tony: Not to forget the 6 to 8 teams we have in the junior section who use the facilities. 9.) What role do you think a club like London Colney plays in the community? Dave: We have a junior section that train and use our facilities. Tony: The whole club is based around a facility which allows local kids the opportunity to join in and become part of a team which encompasses the whole life ethic of friendship and camaraderie in which we all hope they will take into their own future families and repeat the cycle. 10.) Like most of us, I'm sure that you both have fairly busy lives outside of the Blue Boys, with jobs and family commitments, so why do you give so much of your time to the club? Dave: It has become a way of life and if we gave it up now there is nobody to take over so the club would fold. Tony: The easy thing is to say let someone else do it but that’s harder to achieve the longer you stay and to see youngsters develop into men and make their way in life with lifelong friends and a solid vision of knowing the difference between right and wrong (Priceless). We would like to thank Tony Clafton and Dave Brock for taking the time to talk to FootyFair.com about London Colney FC and wish them all the best for next season. In the meantime, get out and support your local football club!